A whimsical look at trash? 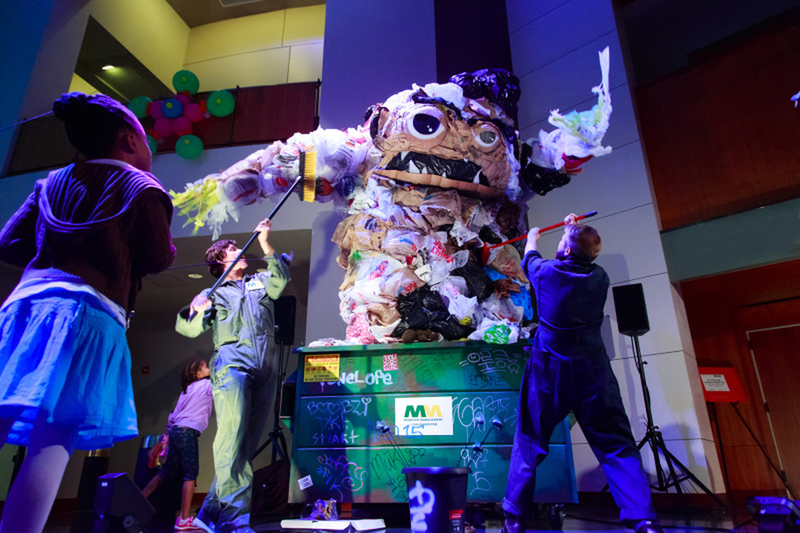 A larger than life “monster” grows out of a dumpster, complete with rat, fly, and cockroach puppet friends that you can operate. Audience participation is wildly welcome. Join the free fun, times are approximate, and no RSVP required. This short site-specific piece is approximately 10 minutes.